A recent article by Stateline, a nonprofit news service that reports on state policy, says that deconstruction could be a viable source of jobs and building materials in cities with aging downtowns like Baltimore or Portland. 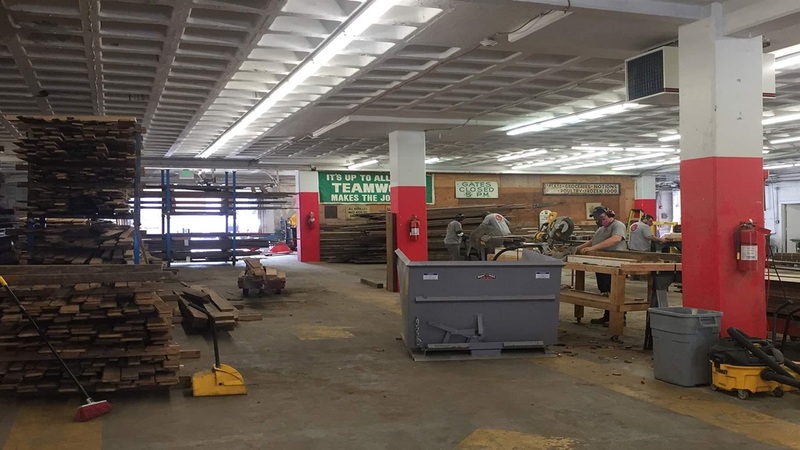 The article follows Brick + Board and Details Deconstruction, two Baltimore nonprofits trying to create a viable business model out of taking apart derelict structures and reselling the materials for new construction projects around the country. The concept relies on the appeal of reclaimed materials, usually for rusticized finishes. Both groups also hire and train released convicts in the hopes of preparing them for other jobs in the construction industry. As the article describes, these and similar initiatives have encountered a tough road to success. It’s much cheaper to demolish buildings, as opposed to taking them apart piece by piece, and many structures don’t offer the kind of charming materials customers are looking for. Still, the idea has potential for cities that are struggling with both abandonment and unemployment. Rust belt cities like Detroit have hundreds of empty homes that are both eyesores and public safety hazards, and such cities have large populations of unskilled workers in need of employment. Deconstruction initiatives could kill two birds with one stone—the trick is just getting the financial side to work. For designers concerned with building waste and sustainability, groups like Brick + Board offer materials with positive social narratives and visual appeal. Check out the original article for more information on resources in your area.